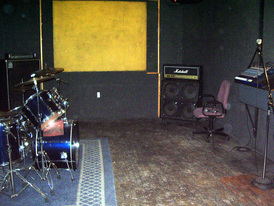 Each Rehearsal Studio is equipped with a full drum set including a bass drum and bass drum pedal, a snare, three toms, one hi-hat as well as all stands and other accessories. 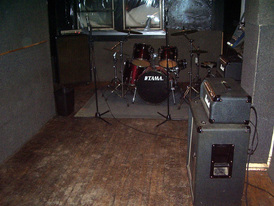 One bass and two guitar amplifiers are also available. 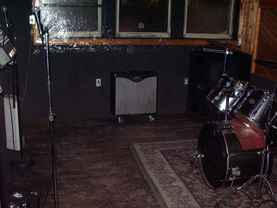 We provide every studio with two microphones and mic stands, one mixer and two speakers.